October is my eldest daughter Chloe's birthday, she turned 16 this month which is just crazy as it seems so grown up! It really is true what they say that your children grow up so quickly, I still think of her as my little girl and she is not anymore, she is almost an adult now and will be leaving school in just a few short months time. For her birthday we got her some Pandora jewellery which she collects and some new clothes which she seemed happy with. I took her into Newcastle on her birthday and we went for lunch at Frankie and Benny's and she spent some of her birthday money, before going out for a meal with her boyfriend and grandad to her favourite Italians on the evening. Sophia lost another tooth this month, at the school disco of all places, so she was super happy the tooth fairy paid her another visit and left £2 for her. She has also been to the dental hospital twice this month to get silver caps on her teeth as she has weak teeth off grinding them in her sleep, thankfully she quite likes visiting the dentist. She is still enjoying Rainbows and girls football classes that she does and she has settled in well in year one and seems happy at school. 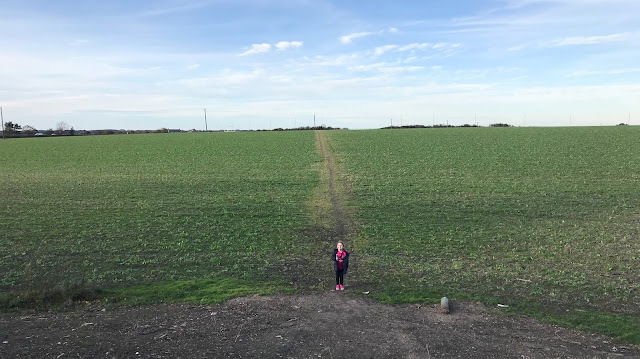 I went for school lunch with her this month which she enjoyed and she also went on a school trip to a national trust site. Jacob seems to be enjoying reception class, I was a bit worried about him going as he is the youngest in his class but he has settled in straight away and loves school and has also been on his first school trip to a farm. He was ready for half-term though as I think he was getting a bit tired from school, so we had a lazy week at home not doing much. Half-term was quiet this time as the children were tired from after-school clubs and I think they needed a break. We did go out a few times but we spent lots of time at home watching films, playing games and just relaxing and it seems to have done them the world of good. I took the little two trick or treating on Halloween, Jacob was a skeleton and Sophia a witch and they thoroughly enjoyed it and couldn't believe people were giving them sweets! This month we have been busy with wedding planning, I booked some decor bits that I liked the look of. We also had our menu tasting which went really well and we have chosen all the food for the wedding now which we are keeping a surprise. Most importantly of all, I found my wedding dress! I actually found it in the very first bridal shop I visited and it was the first dress I tried on out of five. It is nothing like I imagined my dress to be but it suited me and made me look slimmer so I just had to buy it. The wedding is starting to feel very real now I have a dress and we have had our menu tasting, just eight months to go. At the very start of the month, we had press tickets to see Disney on Ice at the arena, as it was Princess themed this year Sophia took her friend along with her. The show was brilliant and we all really enjoyed it. 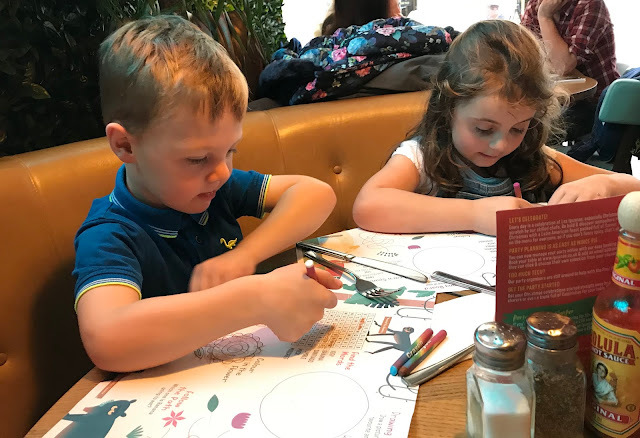 We also went to review the new menu at Las Iguanas in Newcastle (Grey Street branch) and were really impressed with how child-friendly it was, we will deffitley be returning soon as the food was delicious. We were also invited to a blogger event at Turtle Bay at the end of the month which was lots of fun. 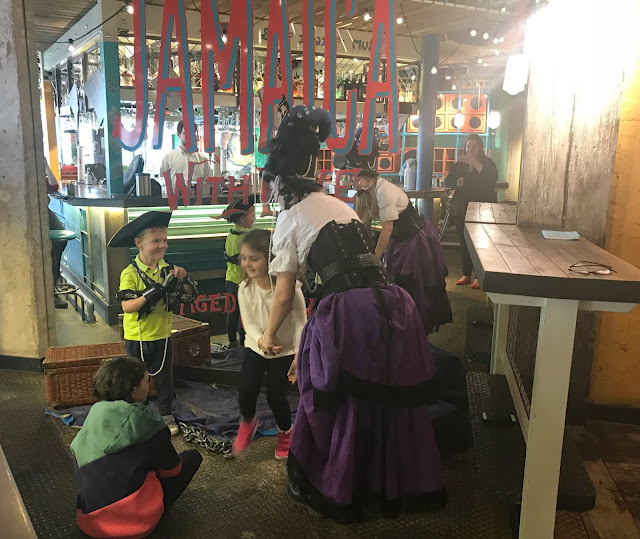 We got to try out the kid's food, make mocktails, play games and there was a brilliant pirate entertainer there who the children adored. We have a voucher to return soon so keep an eye out for a blog post about that. I have worked on a few nice campaigns this month, one about learning to drive in my 30s as I recently decided to bite the bullet and learn at long last. I also worked with National Citizen Service again to promote their autumn teen activity program which is for 16-17-year-olds. I received a lovely Halloween hamper from Asda and I worked with Smyths toy store, Prestige Christmas Hampers and Little Tikes again this month too, I always like when I work with the same brand again on my blog. I am still getting used to the new routine of the children all being in school, I thought I would be used to it straight away and be able to work more on my blog but I have been busy with other things. I don't think I will ever be one of those super-organised, full-time bloggers who post multiple times per day but I'm ok with that as I am happy with how things are with my work/life balance. So that is how October was for us, how was your October? hehehe! November is my favouite month too. Happy birthday to us! 16 is so grown up. How is it possible that we have girls that are so old. It sounds like October was a great month for you all.